BlackBerry PlayBook | Teknision Inc. The user experience of a device is not a virtual embodiment of the product brand, it IS the brand. Whether you need user experience design for Android, iPhone, iPad or Windows Phone applications, Teknision strives tirelessly to craft the ultimate experience for your target audience. 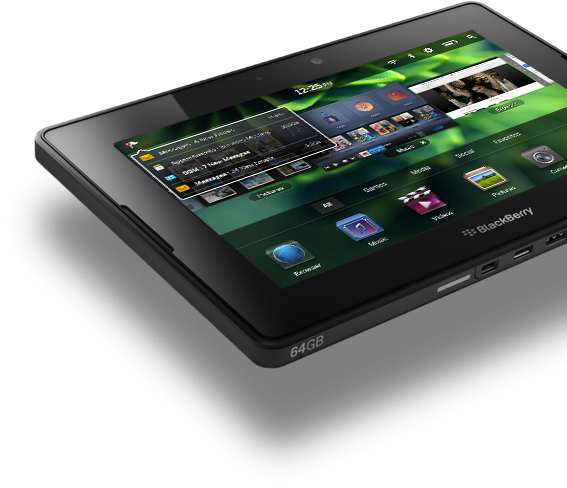 RIM enters the tablet market with the PlayBook – a new device with a new form factor, and an entirely new look and feel for BlackBerry. OS, applications and hardware designed for a complete experience. Teknision led the user experience design effort for the new BlackBerry PlayBook. 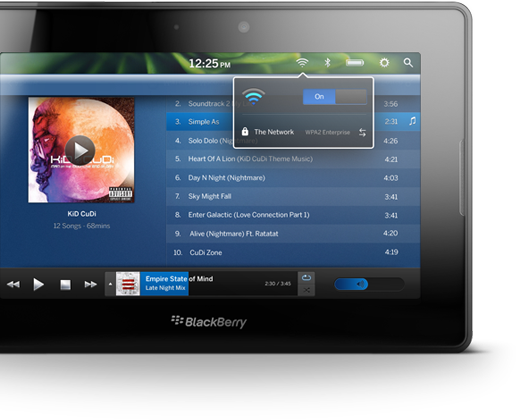 Working closely with RIM’s executive team, Teknision provided creative direction, conceptualization and lead design execution for the BlackBerry Tablet OS. As part of an extended engagement, members of Teknision’s UXD team became part of the PlayBook development team to oversee the design implementation and ensure the design vision and language extends to all aspects of the PlayBook experience. An OS that is redefining an iconic brand. The BlackBerry Tablet OS is a completely new user experience direction for BlackBerry, which will eventually extend to all RIM devices. The PlayBook engagement resulted in several patents and near unanimous industry acclaim for the user experience.